While Max and I usually have a travel radius that keeps us in the Midwest for outdoor wedding photography, we couldn’t help shooting a few photos of this gorgeous wedding alongside a river in Colorado for our dear friends Abby and Jordan. 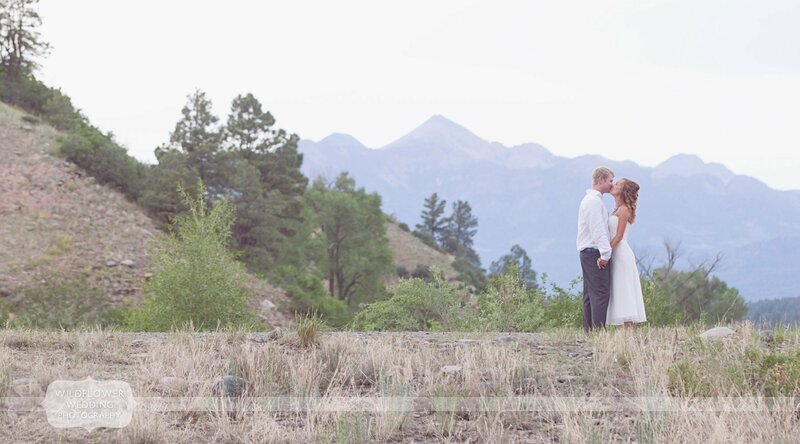 I think our candid and natural style of photography fits pretty well with the mountains though… I’m thinking we might have to incorporate this lovely state into our portfolio! 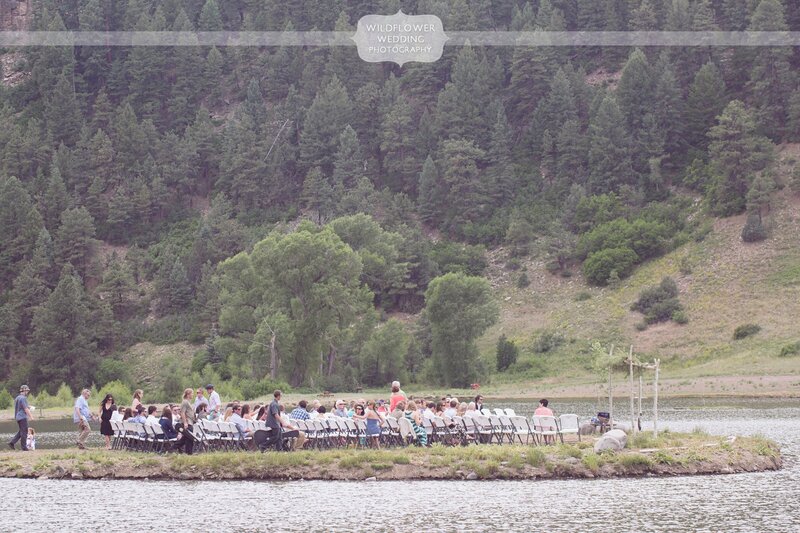 One of our favorite moments from this wedding was when Abby’s German Shepherd, Aylen, plunged into the water with great vigor after her as she and her father set across the San Juan River in a flower-adorned wooden boat for the ceremony. 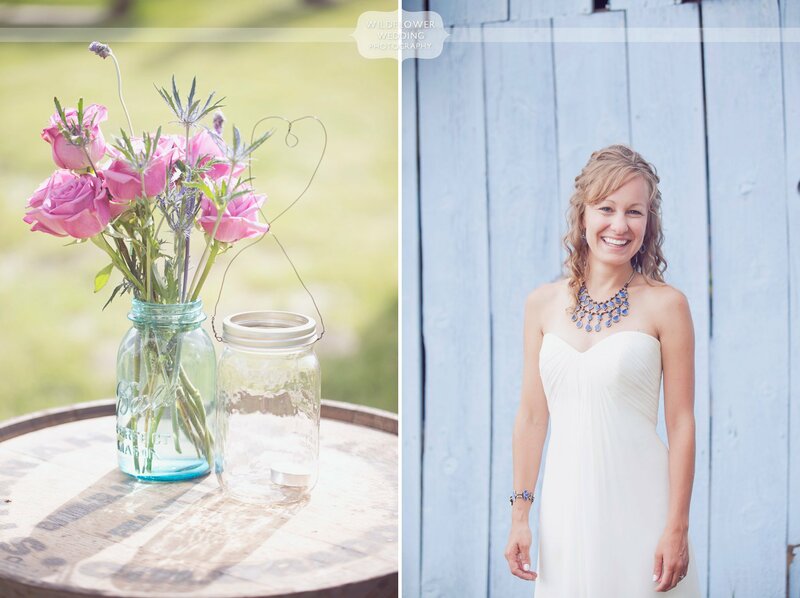 There were also so many gorgeous DIY ideas incorporated into this wedding that made for great photos–the natural wedding arbor was built from birch trees and willow branches and Abby’s mother arranged all of the flowers with rustic burlap ties and blue ball jars as vases. Jordan chose Peruvian bobble heads animals as unique guest favors, and whiskey turned out to be a theme for the reception. This couple used whiskey for toasts and even had “Whiskey Bailey’s & Bacon” cupcakes as dessert! That is definitely a first for us. :) We had such a wonderful time celebrating with this happy couple, we wish you guys the best of luck and can’t wait to see you both again soon!! Susan Pett Herbert - You captured the joy so well, beautiful! Debbie Baggs - BEAUTIFUL!!! I sooo wish I could have been there! Although I would have cried. I also would have been in that water with those little boys :) So COOL!!! Emily Stautner Kearl - Oh my goodness, those are fantastic! Y’all are amazingly beautiful!